Australia is home to a variety of well-known cultural facilities. From the Sydney Opera House to the Princess Theatre in Melbourne, theatres, museums, art galleries, and performance venues are spread throughout the country, attracting residents and tourists alike. There is no question, then, why Canberra’s Cultural Facilities Corporation (CFC) aims to build a 2000-seat theatre. CFC Chief Executive Harriet Elvin is set to outline plans for the theatre at the 3rd ACT Major Projects Conference, held on the 28th and 29th of August at Canberra’s Hyatt Hotel. While in recent years, the Territory is recorded as having the highest attendance rate at cultural venues, the venues are primarily galleries and museums. Canberra lacks the presence of expansive theatres commonly seen in Sydney or Melbourne. 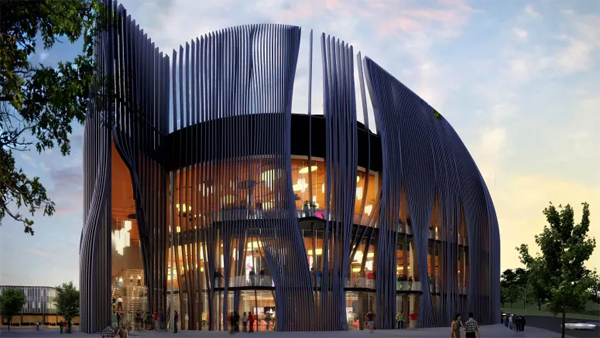 A new theatre, especially one that can seat 2000 visitors, would be well-equipped to house large-scale musicals, stage shows, and touring artists – the types of performances that draw great crowds, and in turn significantly expand cultural opportunities for tourists and Territorians. Though the nearby Sydney is brimming with cultural facilities, its bustling quality means that by nature, tour promoters will often experience difficulties finding venues with free dates for their shows. If realised, Canberra’s new theatre would provide a cheaper, more viable alternative to Sydney, one that strongly benefits its economy. The flow-on effects of the theatre’s existence would greatly impact the ACT in a multitude of ways, not only bringing in more tourists and creating jobs, but increasing the amount of talent and crew staying in the Territory for a prolonged amount of time. Elvin will provide further brief conference delegates on the plan, revealing how close it is to fruition and what we can expect upon completion. Beyond cultural renewal, the 3rd ACT Major Projects Conference will feature topics on the $300 million Constitution Place Development, the upcoming Light Rail network, and the Healthy Waterways initiative.